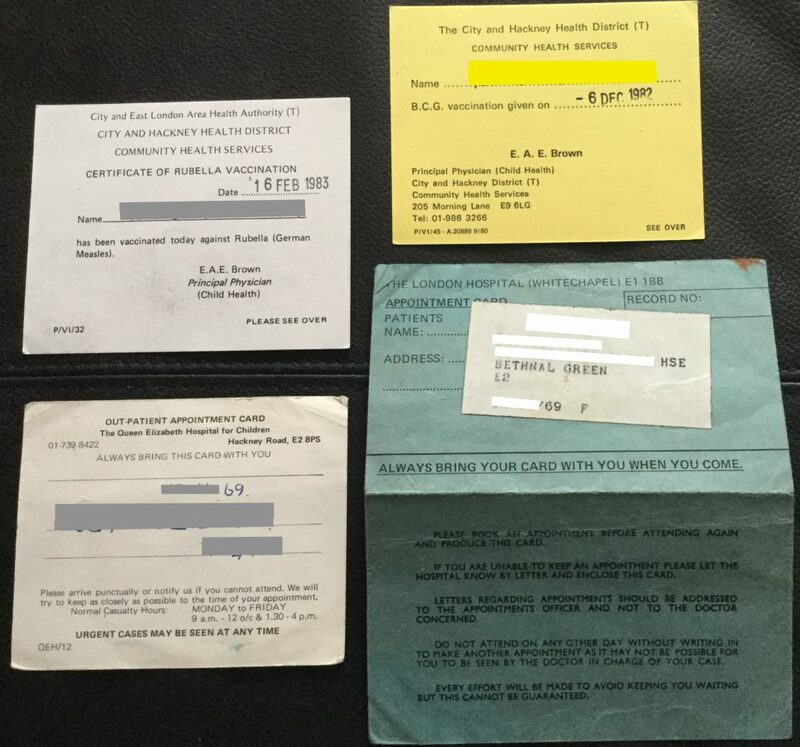 These cards record my wife's East London childhood in the NHS -- vaccinations, check ups, hospital appointments. Her mother saved them all, and gave them to her (with her birth certificate) when she left home in the late 1990. Not only was she immunised for TB (unlike most British kids today) but two of the cards instruct her to bring them with her when attending any appointments.